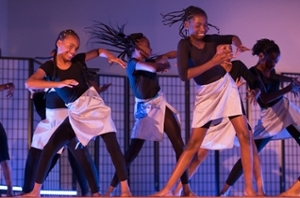 After a hiatus due to funds, Southern Illinois University Edwardsville’s East St. Louis Center Performing Arts will once again offer its after school program for students beginning Monday, October 3. Classes will be offered to students, ages 6-17, from Monday-Thursday through May 2017. Classes include: jazz, ballet, Dunham Technique, drumming, piano and guitar. 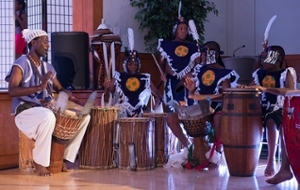 A community performance will conclude the program year, and allow students to showcase their talent and skill. The performance date will be advertised at a later time. The cost of the program is free. “I’m deeply pleased that SIUE recognizes the importance of the culture growth that the SIUE East St. Louis Center Performing Arts program brings to the community,” said Performing Arts Program Director Jack Williams, who has worked as an instructor in the program for more than 33 years. For the last two summers, the SIUE East St. Louis Center for the Performing Arts has offered summer camp, which has been oversubscribed both years, according to Dixon. “The revitalization of the after-school program will enable instructors to go much deeper with students in developing their technique and skills,” he said. Shown are students from the SIUE East St. Louis Center for the Performing Arts program summer session.